I’m reading Michael Lewis’ explication of the world of high-frequency trading, Flash Boys, and experiencing my typical issues with his work. Let me just start out by admitting that I love Michael Lewis. I’ve read almost all of his substantive books (Liar’s Poker, The Big Short, Moneyball, The Blind Side). And they were all gripping and informative reads. That being said, I have an intrinsic distrust of everything I read in his books, because they’re too personality-driven. The Michael Lewis formula is as follows: A) Find some complex and dramatic conflict within a field that people are interested in but don’t know much about (the management side of baseball, or the world of credit default swaps and subprime mortgages); B) Identify a group of people who are deeply involved in this world AND C) are willing to give you total access, and then D) make those people look like heroes. That’s the problem with Lewis. The books always focus in on this one person or this one group of people who have the answers and who are doing everything absolutely right. And they’re opposed by a faceless group of bad guys: people who are on the wrong side of the issue. And, finally, the biggest problem with Lewis is baked right into his world view. It’s that when you read his books, you come away thinking that the bad guys are stupid and the good guys are smart. You come away thinking that the world is full of heroic prophets who are leveraging so much intelligence and know-how to solve the world’s problems, and the bad guys are just a mindless horde that isn’t willing to look up for long enough to see that it’s going off a cliff. But, ummm, I’m not sure that’s a healthy belief. What I’d say is that on any given day, in any given year, there are a ton of people who are predicting financial calamity for whatever reason. Most of those people are wrong. They lose their shirts. And they don’t get books written about them. In the Lewis worldview, it’s not possible to be lucky in that way. Either you’re good and fantastically successful, or you’re bad. In his world, incompetent and immoral are synonyms. And that’s why the characters in his books always seem way too good to be true. 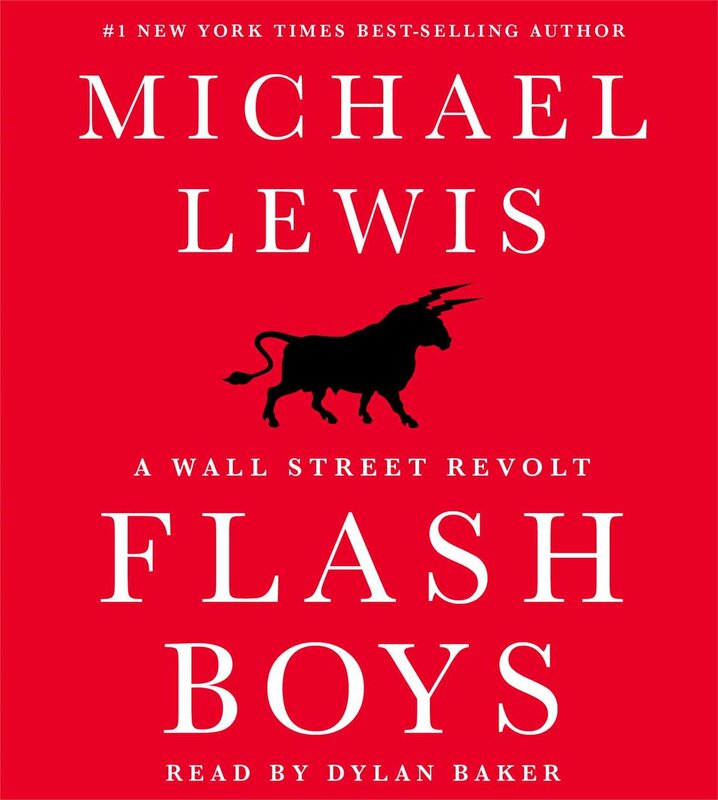 For instance, the main character in Flash Boys is a Canadian banking executive who figures out what’s going on in the high-frequency trading world and then heroically eschews the temptation to make gobs of money and uses his information to try to protect people from the depredations of the flash traders. It’s too good to be true. No one is real. No one is motivated by pride or by money. They’re all either motivated by a desire to do good or out of an abstract techie idealism that draws them to solve the biggest problems that are available. It’s a great story, but I know that at least part of it must be false (which inclines me to discount all of it). Haha, I like your amendment and I agree with it. Anyone who is reading my post should mentally insert this guy (or gal)’s final paragraph.